MPC, Luma Picture, Rodeo FX, One of US worked on VFX for the movie. Rodeo FX worked on opening sequence which would include the Disney Logo merging into a Christmas postcard of Victorian London at the end of the 19th century. From a flying owl to a running mouse and on to carriages with horses – more than 1200 props, over 2600 extras and many buildings were created to bring life to this particular shot. Using archive references and Geo Terrain Data as a base, Rodeo FX team created a CG scene in order to build an exact replica of London and some of its key landmarks. This 2700-frame shot – delivered in stereo – unfolds through a wide range of terrain and environments, from an icy Thames River with skaters, to Christmas markets, traditional paved and brick streets, snowball fights, Santa Claus parades and Christmas carollers. Entirely created in CG, this shot was designed for stereo needs, to amplify the immersion of the audience into the shot. Pushing the limits of both our technologies and our artists. 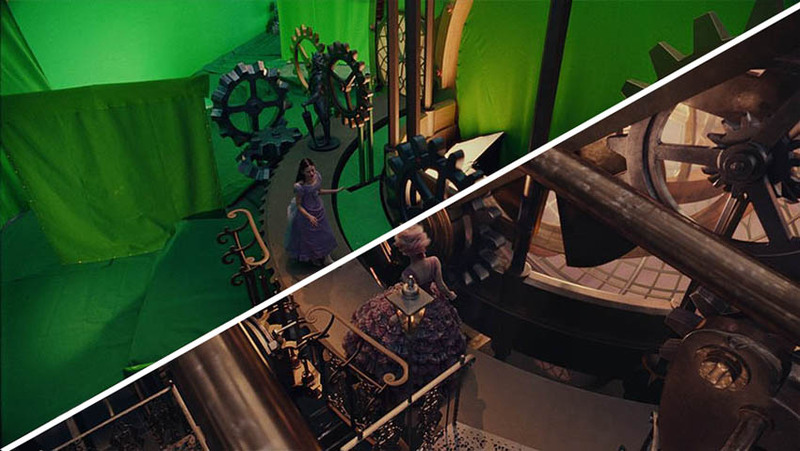 MPC delivered more than 1000 shots including CG Environment palaces, forests and rivers, to large-scale FX work and extensive digital character animation for The Nutcracker and the Four Realms .